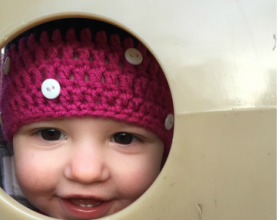 Our infant program provides a warm, welcoming environment where your baby can grow and learn. 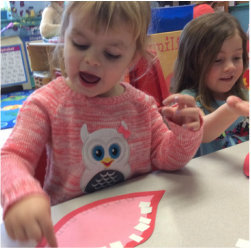 We are focused on creating opportunities that invite exploration to support the rapid and important development occurring in a child's first year. As a part of the daydreamers family, we are dedicated to keeping your precious one happy, engaged, and secure. We personalize care for each infant based on his/her unique schedule, nutritional guidelines, and any other special attention he/she requires. Warm and nurturing interactions, days spent in a home-like environment, individualized attention and experiences, and meaningful partnerships with parents are our goals! Our teachers help guide your child through learning experiences that promote their growing independence, social skills, and self-confidence. The curriculum is designed to adapt to each individual child’s age and stage. Experienced teachers promote emotional, physical, social, and intellectual development in a fun, engaging environment. ​When school is out, daydreamers is there! Before and after school care, snow days, some holidays, act 80 days and SUMMER Care! daydreamers recognizes the growing physical, intellectual, and social competence of the increasingly independent school-age child. Eager to achieve socially and academically while expanding their knowledge of the world, kindergarten to 13-years seek new challenges, close friendships, and increasing responsibilities. Our programs offer enriching learning opportunities in a fun environment for maturing school-age children. This includes before-school and after-school care, back-up or emergency care for school holidays and closings, and exciting summer day camp programs for children up to age 13. Transportation to and from many schools in the Abington Heights, Lackawanna Trail and Mountain View school districts available! 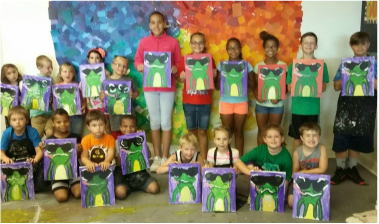 Our Fireflies curriculum aligns preschool program goals and practices with families' expectations of educational excellence, helping young learners grow into confident students.